You are a writer if you make a habit of writing. Full stop. 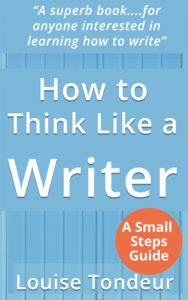 Using this book, you will to learn more about the habit of writing, and how to establish a regular creative practice. You will think about how to write, and how to create, and you’ll to try out you lots of practical activities along the way. You will end up with your own dynamic writers’ toolkit – a flexible set of tools you can use again and again in your writing life. Free writing – a free-flow writing technique made famous in Creative Writing circles by Peter Elbow’s Writing with Power. Creative Visualisation – a method for holding a ‘picture’ in your head (using all of the senses) that comes from meditation practice. Writing prompts – there are lots of prompts around. How and when are they useful? Live writing – this is my name for ‘writing in situ’ or deliberately going out to interesting places to write. I speak from first hand experience, because it’s how I created my short story collection, Unusual Places. 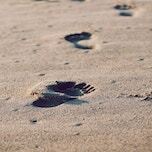 Mindfulness is ubiquitous nowadays, but there are aspects of mindfulness that we can use to bring depth to our writing. Word play – playing games with words. Is it simply childish? Or can word play spark creative ideas for you?